Portable Wireless Bluetooth Speaker - Only $26.98 + FREE Shipping w/Prime! 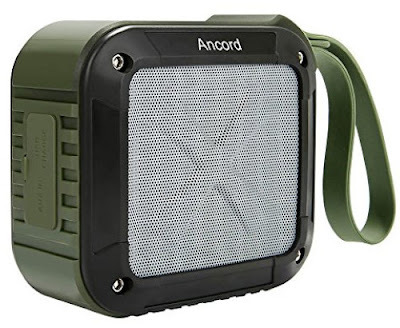 Check out this Portable Wireless Bluetooth Speaker by Ancord on Amazon for Only $26.98 + FREE Shipping w/Prime! 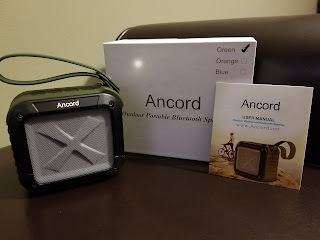 Ancord Portable 4.0 Bluetooth Speaker: An Outdoor Enthusiast's Essential Entertainment Gear! Whether you're new to the outdoors, or have been immersed in natural exploration from a young age, you know that, sometimes, you need a little music, to spice up all your expeditions! While you once relied on FM radio, nowadays, with the advent of Bluetooth 4.0 technology, the world of portable entertainment has changed. That is we made the best portable Bluetooth speaker, so you can enjoy your phone's music streaming and call features, anywhere. 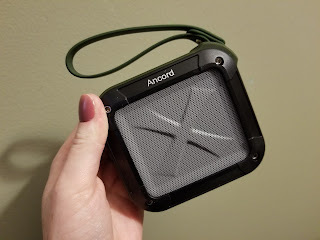 Any seasoned nature-lover would agree: the absolute essential requirements for a portable speaker should be water-resistance as well as lightness! Take it in the shower, carry it in your backpack. There's nowhere this powerful, sturdy speaker won't keep you entertained! NO LIMITS TO CALLS OR JAMMING! : What good would the outdoors be without enjoying your favorite tunes or calling your loved ones, to share your thoughts and feelings? 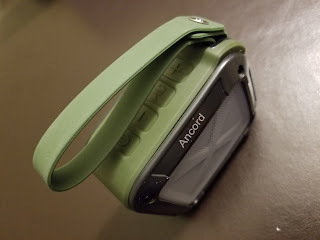 Ancord’s Waterproof speakers is perfect for hiking, climbing, the beach, as well as the pool, shower or bath! This wise investment will become your favorite, portable entertainment system – fast! LIGHTWEIGHT SPEAKER WITH AN AMAZING 33 FT BLUETOOTH RANGE! 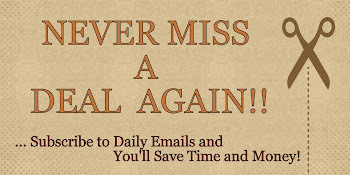 : You read that right! Our wireless speaker bluetooth streams music through QUICK, POWERFUL wireless connectivity, or by 3.5mm aux-cable (included) pairing with ANY portable Bluetooth 4.0 compatible device, such as cell phones, laptops, tablets, MP3’s & CD Players! That gives you the freedom to move around your campsite, explore nature, fishing or throwing the best outdoor or BBQ party EVER! BUILT-IN FM DIGITAL RADIO! : We help you keep up with the newest, cutting-edge Bluetooth technology – but without forgetting good old FM radio! Short press POWER BUTTON exchange Bluetooth and FM mode, Long Press “+” or “-” to search for next or last station. Long Press the “->” to search for the station automatically. And press the “+” to stop it when you get to the station you need.